Keep your baby cosy before bedtime with this printed sleepsuits. Made from a soft quality fabric, your little ones will be comfortable and cosy. The pocket detail gives it a trendy look. 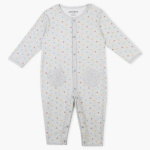 The front opening snaps closure ensures easy dressing for your little ones. 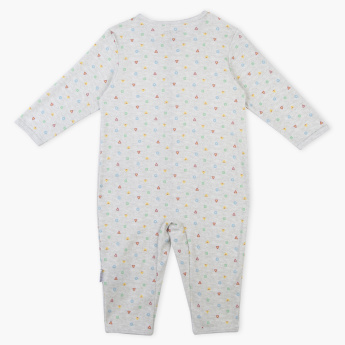 Features : Pure cotton made openfeet sleepsuit with two pocket and front opening snaps closure for easy dressing.